What is a ‘block’ in blockchain? 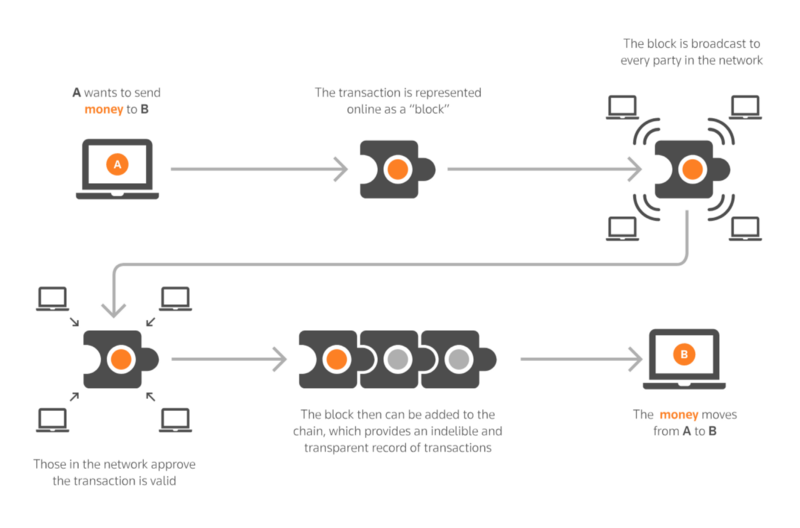 Simply put, a block is a log of new transactions. The information in the transaction could mean the amount of cryptocurrency, or medical data, or even voting records. Each block can contain a finite set of transactions. A blockchain is a series of such blocks. Each block typically has a reference to the previous block as a result of which all blocks are ‘chained’ to each other. This sequentiality of blockchain gives it a very important property of immutability. Immutability implies that once a block is added an linked to the chain, the block can’t be removed or edited. since any of these operations will lead to creation of a different chain than the one that is existed before. Who adds a block to the blockchain? Based on the type of network, blocks are added to the blockchain by ‘miners’, ‘anchors’ or ‘validators’. These entities gain the right to add a block to the blockchain typically by solving a very hard puzzle. Because of the effort required in solving the puzzle, it becomes difficult to edit or modify a block once created. Ok, so what? Why is blockchain important? Since data added to a blockchain is irreversible and the ‘right’ to add data does not belong to a central entity, you now do not need to trust a ‘central’ entity that your data will be accessed or edited without your permission. This makes Blockchain an ideal candidate for a store of data where central entities exist just to bring in trust into the system. Banks, Airbnb, Uber, Visa, are all central entities who exist only to solve for this problem of trust. Each of these can be replaced by a blockchain based ‘trustless’ economy, where you now no longer need to trust these entities as a result of which your data will remain secure and tamperproof. Where is blockchain being used?